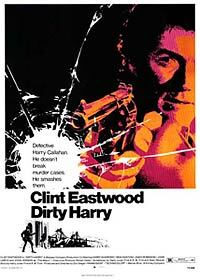 Dirty Harry Callahan:"I know what you're thinking. 'Did he fire six shots or only five?' Well, to tell you the truth, in all this excitement I kind of lost track myself. But being as this is a .44 Magnum, the most powerful handgun in the world, and would blow your head clean off, you've got to ask yourself one question: 'Do I feel lucky?' Well, do ya, punk? "